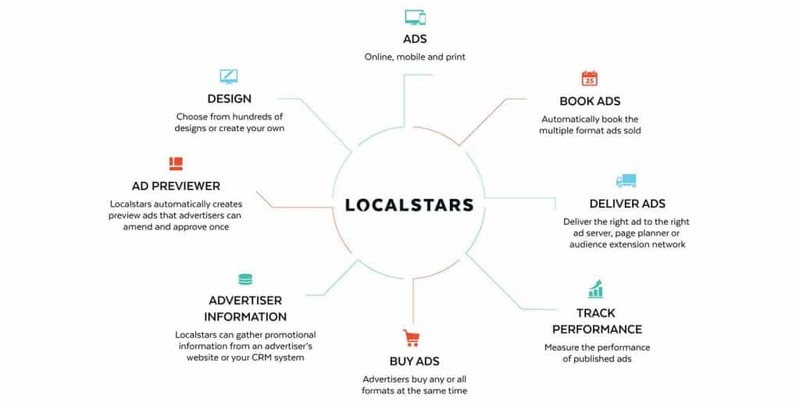 The Localstars ad platform is proven to increase sales by 400%, attracting new customers and encouraging existing advertisers to try more ad formats. Maximise your display ad inventory by using multi-shape ad campaigns, rather than relying on low revenue network campaigns. Offer your clients multi-shape, multi-device HTML5 ad packages with no extra cost to headcount. Clients have experienced 5x increase in digital revenue. Create HTML5 ads in minutes and integrate with booking systems and ad servers to rapidly reduce the end-to-end cost of ad fulfilment. Last year, world-leading brands and media companies trusted Localstars to create and deliver over 1 million online ads.